Episode 52: What's the Worst That Could Happen? What's the worst that can happen if you don't sit down and write? Well, your book never gets finished. 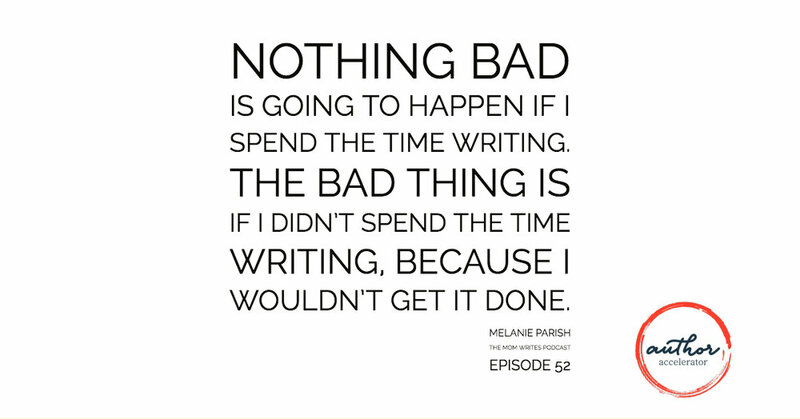 Book coach Jennie Nash and Melanie Parish talk about fear as it relates to getting words on the page. Book coaching is partly about craft but just as equally-- if not more so-- about support. Great words are the end result of an emotional process that takes two people - the writers, and the readers. The book coach stands in for the reader and can give you the "you can do this!" motivation you need to get it done. This week Mel celebrates getting done on time with the help of some MAJOR coffee intake. How did she take time to do it? Sheer determination, and the knowledge that taking time to write and the end result of getting her pages done is much better than wallowing in self-doubt and not spending the time to do it. Self doubt throws up roadblocks ALL the time - but the alternative is going nowhere and not finishing your projects. The other alternative is to just try - even if it's hard, even if it's scary, even if you fail a bunch (we all do!). Mel says that book coaching has absolutely been vital to her motivation in working on her book. Getting validation on what she's doing well vs doing poorly has been instrumental in the sense that she's gained an understanding of what works, and why it works, and how to move that through the rest of her writing while ditching the stuff that's holding her back. The reason why a lot of writing workshops and typical teaching in writing doesn't work is that you don't get the kind of individualized feedback that you get with book coaching. If you don't get any specifics on why something works or doesn't work, you can't take that criticism or feedback and better the rest of your writing. Abby says that in her fine arts classes in college, you weren't allowed to say "I like it" or "I don't like it." You were forced to be specific in your criticism or praise, and that's what book coaching does as well. You can't be steered in the right direction with generalities. .
Just check the "Mom Writes Podcast" box below!